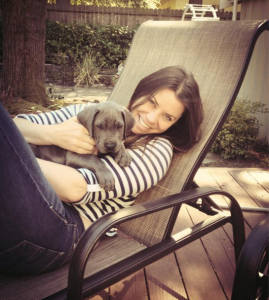 Brittany Maynard passed away this week and it’s certainly opened up a great deal of debate about dying with dignity. I didn’t know her, I hadn’t even heard her story before yesterday (I don’t watch the news). Brittany was diagnosed with a glioblastoma in January of this year and after surgery was unsuccessful she was given 6 months to live. She researched and realized the conventional options available had little hope of curing her while offering even worse quality of life, compared to what already awaited her as the tumor took over her brain. Maynard chose to move with her husband to Oregon so she could end her life at a time of her choosing and on her terms. I cannot begin to imagine what it would be like to be in her position and be faced with the choices she had. I believe and honor the fact that she made the best choice for her with the information available to her. I fully believe we ALL have the right to make our own choices based on our own research and beliefs, and no one else has a right to limit those choices. Maynard’s story does make me sad and angry, though. Based on the information the public has been given about her story, two things stood out to me. The first, and possibly biggest, was the focus of the language she used in every video, interview and quote I’ve seen. It was all so negative, all so focused on the terrible way the cancer would take her life if she let it, the short timeline she was given by doctors, how horrible the quality of life would be. Given a set of beliefs and focus like that, I would certainly make the same choice she made. A couple of years ago I attended Unleash the Power Within, an intense live Tony Robbins experience, in New Jersey. The last day of the even was facilitated by an amazing man named Joseph McClendon III and was all about health and wellness. As a Certified Health Coach, most of what was shared that day was nothing new to me. But one thing Joseph talked about has really stuck with me. He told the story of his mother’s cancer diagnosis, and he talked about how important it is to protect our state, our focus, our internal environment. He refused to let the doctors give her a “timeline” or hammer her with the possible horrible progression of her disease. Don’t misunderstand, I’m not talking about some Pollyanna-ish refusal to face facts. I’m simply talking about controlling what we give power to, and what we allow to control us. Joseph’s mother didn’t meet her doctor’s expectations. She lived far beyond what they had told him to expect. I believe a large part of the reason for that was mindset. It factors into everything we do and even how our cells behave. You may call me crazy, but I know what I believe. You don’t have to agree. But I ask you, how do you explain the placebo effect? The second thing I wondered as I learned about Brittany’s decision to die with dignity was where did her research take her? Was she only exposed to conventional treatments and the stories of patients withering into a mere fragmented shell of their former selves before finally succumbing to their disease? Or did she also seek out alternative therapies and options? I get that for a lot of people alternative therapies aren’t deemed a reasonable option because their belief systems and story, their views of the world, don’t allow them to even consider them valid. That makes me sad. From the Gerson therapy to cannabis oil to high dose vitamin therapy, there are lots of alternatives available if you are willing to look for them and consider them more than just snake oil. Could they have cured Brittany Maynard’s high-grade gliblastoma? I’m not saying that because I don’t know. Could they have given her more time and increased the quality of that time? I’m almost certain of it. At the very least I think that everyone, especially when faced with the type of diagnosis that Brittany was, should give very serious consideration to alternative options. In addition to opening up the other options, I think this type of research into alternatives also can be of value to the mindset I talked about before. Reading stories of those who were able to overcome a death sentence handed down by the medical community can only boost your spirits and provide even a glimmer of hope. It redirects focus away from the horrific stories of succumbing to disease and onto the joy and hope and life. Choosing to die with dignity is admirable and brave, and I do not want to discount that. Everyone should have the right to make this choice for themselves. I just hope that we can all have the access to more than just conventional wisdom, and understand the important role that mindset and protecting our internal environment play in our overall well being and quality of life. Great post, Lyzz, and I agree with you. As far as I know, she never shared about alternative therapies she may have researched or tried, and she seemed to be a very lively young woman. So I’m guessing she clearly saw only one path ahead of her. It was her path, though, not mine. I’m grateful I have not had to make the same decision and I do admire her for taking a stand and doing what she truly believed was right for herself and her family.